In front (left to right): Paul Hurdlow, Brian McFann, Doug Woods. Credits: From the collection of Brian McFann. Photographed by his older brother. The kids in the picture were all students at Joe Michell School. 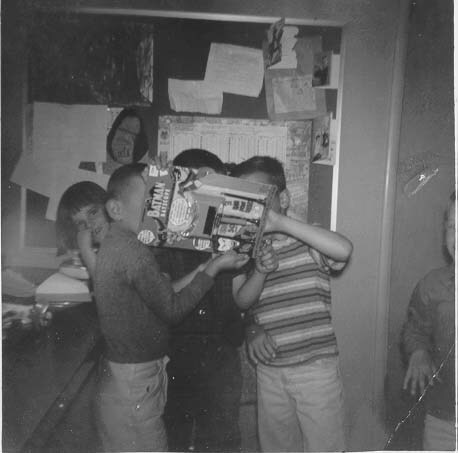 To find other pictures of students from Joe Michell School in the archive, see Livermore class pictures listed by school: Joe Michell School. And if you have any pictures from Joe Michell School that you would like to share, please submit them to the Archive.